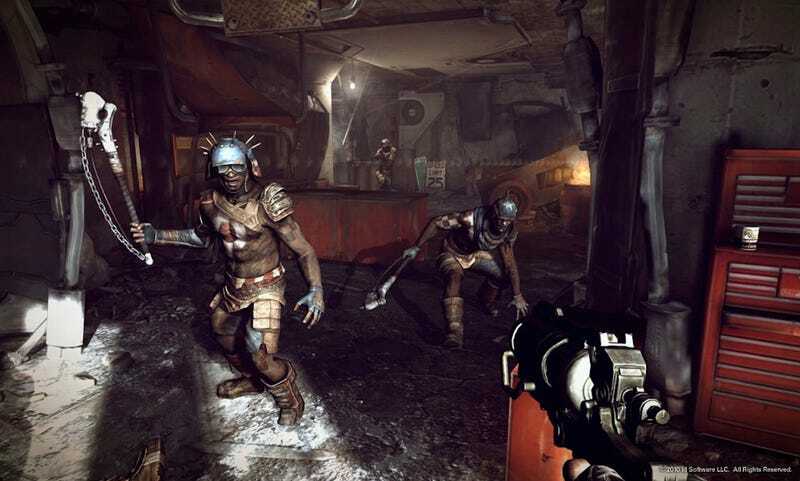 You may recall that a couple of weeks ago, Gamasutra's Brandon Sheffield ran an interview with id Software's CEO Todd Hollenshead about Rage. In the interview, Sheffield expressed some doubts about the game, and wasn't convinced by many of Hollenshead's answers. It was a solid piece of journalism, and as our own Stephen Totilo pointed out, it's the kind of interview we could use more of. Sheffield has penned an op-ed about the interview and the response it prompted. In the piece, he recounts playing the game at a San Francisco event, and how as he played, time and again he found himself flummoxed by the design decisions that id had made. After playing, he sat down to talk with Hollenshead and Rage artist Andy Chang and asked about the issues he noticed. The oddest thing was how unprepared Hollenshead and Chang were for my questions. How had nobody broached these subjects before? It felt as though the game had been developed in a bubble, where they were told everything they were doing was great, without question. I can understand that, it's id after all. But Hollenshead seemed to genuinely appreciate that I had taken a laser-focus to the game's systems, and the air in the room was contemplative, not hostile. We spoke for an hour, and smiled and shook hands at the end. After the interview ran, Sheffield describes receiving an anonymous email from only identified as being from a "AAA creative director" that described his line of questioning as "hostile" and "clearly biased," and claims to have instructed PR to refuse future requests form Gamasutra regarding their game. Sheffield doubts the veracity of this email, but all the same, wonders about the language used. It's out of respect for id that I called them out on what I saw. I gave them an early chance to defend issues with the game that others were undoubtedly going to have upon release. If treating someone else's work the way you'd treat your own - that is to say with scrutiny and criticism - is disrespectful, then we clearly have different definitions of the word.